The Lady and The Sax are the UK’s number one Sax & Vocal Duo choice for 1950's / 1960's Rock and Roll themed events and parties. The talented duo of Chloe Barry and Sam Pagett bring youth and vitality to classic Rock and Roll songs from the 1950's and ‘60's featuring all your favourite artists from the golden era of music including Bill Haley, Connie Francis, Elvis Presley, Fats Domino, Gene Vincent, Imelda May, Jerry Lee Lewis and Johnny Cash. Stand-out vocals from both Chloe and Sam, accompanied by Sam’s exceptional saxophone and harmonica skills performed to professional backing tracks really bring the old favourites back to life for an entertaining performance delivered with personality and passion. Dressed in eye-catching outfits from the era, The Lady and The Sax’s performance will delight and get audiences a rockin’ and a rollin’! 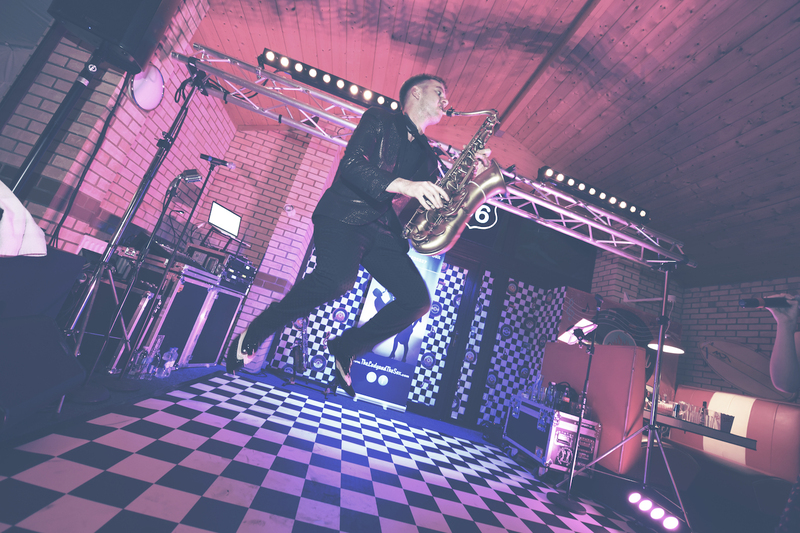 As a professional sound and lighting engineer Sam ensures The Lady and The Sax make just the right impact with the latest sound, lighting and effects to create the perfect atmosphere for your event and venue - no matter how large or small. A disco service can be added to any booking, keeping the party going following The Lady and The Sax’s performance. Based in Worcestershire, but happy to travel throughout the UK or worldwide.